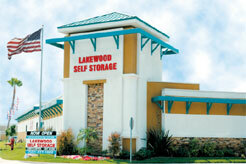 Lakewood Self Storage is located in Lakewood, just north of the Long Beach airport on Paramount Blvd. We are at the corner of Paramount and Kessler. We serve the city of Lakewood, the greater Long Beach area, Bixby Knolls, Signal Hill, Seal Beach, Artesia, and Bellflower. See the map to the right, or click here for driving directions.